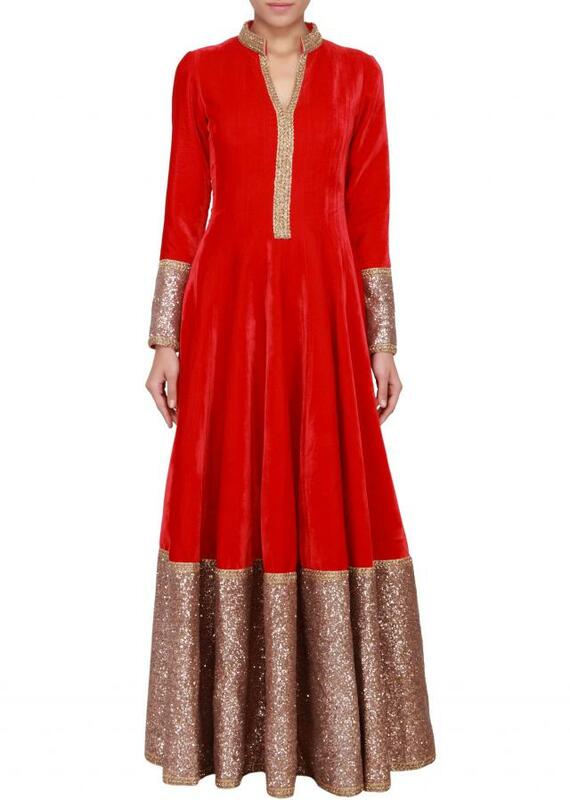 Featuring a scarlet red velvet anarkali suit in floor lenght. 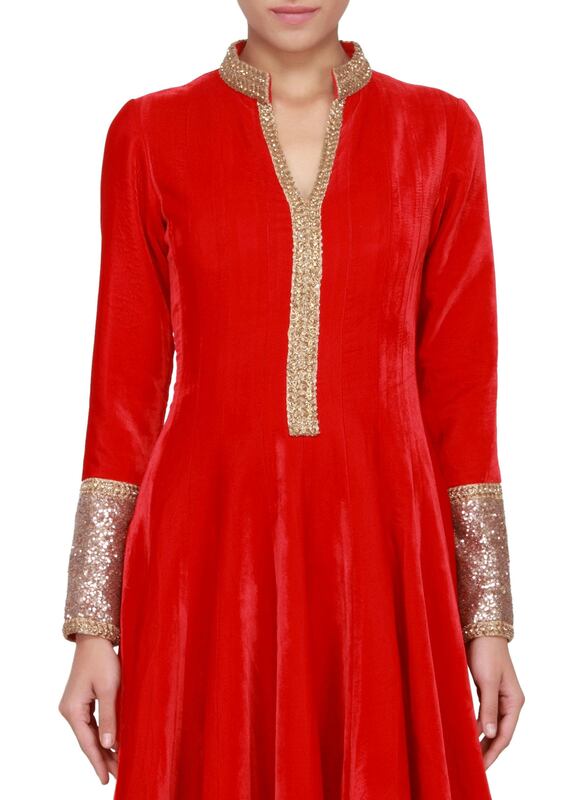 Neckline is in v opening with embellished zardosi collar in gold. 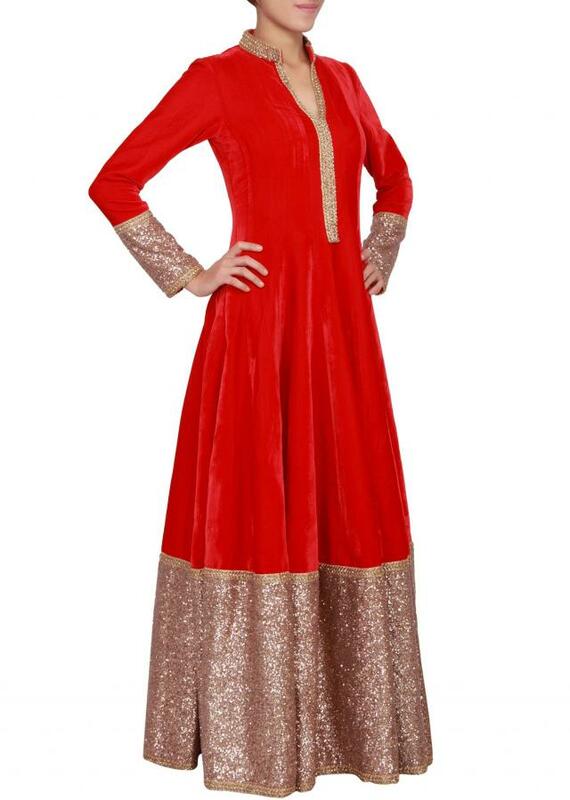 Full sleeves in Scarlet red velvet with embellished cuffs in sequin. Border is ver broad in sequin. Back has a deep cut out.